Not so long ago, the idea of having a smart home only existed in the realm of science fiction. Today, home automation is quickly becoming an everyday reality the more smart devices you buy. Why limit yourself to a laptop or a smartphone, when all of the appliances you own could connect to the internet and coordinate with each other over a shared network? This is now largely possible thanks to the fast growth of the Internet of Things, which is another way of saying the internetworking of various devices. Technically, any object that is embedded with electronics can connect with other electronic objects via the Internet – from garage doors to windows, alarm clocks, air conditioning and lighting systems. If you buy a fridge, a washing machine or a TV in 2016, chances are you’ll have the option to grab a smart version of these age-old appliances. But with each gadget you add, you also increase the vulnerability of you home network, and it can become difficult to track and monitor everything without the help of a smart home security solution that basically does all of this for you. It is predicted that (IoT) devices will soon outnumber humans, and by 2020, the home automation industry will have exceeded $10 billion. 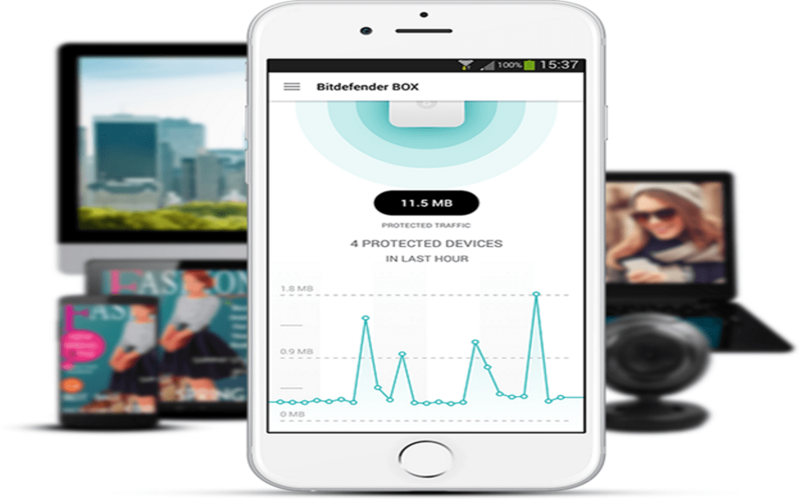 Traditional internet security companies like Bitdefender Antivirus – that have been developing antivirus solutions for home and business use for the past couple of decades – are gradually shifting their attention to securing the IoT. Thanks to the rapid pace of IoT development and the ever increasing spread of smart devices, this is an entirely new challenge unlike anything we’ve had to deal with before. What is unique about it is that now cyber threats may cross the threshold from virtual to physical. Most smart devices come equipped with cameras and recording features that, in the hands of skilled hackers, can quite literally be used to spy on unsuspecting victims in their own homes. Some gadgets, such as cars, could be hacked and controlled remotely, but so could vital objects like pacemakers and insulin pumps. Of course, any efforts made by internet security companies to rise to this occasion must be supported by legislative and regulatory changes in the near future. No one can say for sure what the interconnected world will look like in a decade or two. But what we do know now is that serious steps must be taken to ensure it remains a safe experience for everyone.